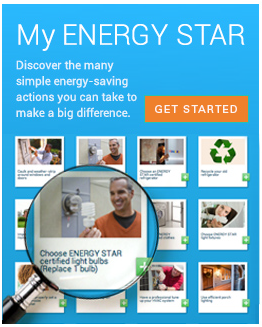 ENERGY STAR certified room ACs now save even more energy and money with better sealing and insulation materials that keep you cool and comfortable. 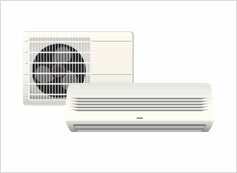 What should I consider for when buying a room air conditioner? Room air conditioner sizing is all about matching the room size to the air conditioner size. A unit that is too big will be less effective and offer reduced air conditioner efficiency. Air conditioners remove both heat and humidity from the air. If the unit is too large, it will cool the room, before it has a chance to remove the humidity. The result will be a room that's not very comfortable to spend time in. That cool moist air will make the room feel damp and clammy. How to properly size a room air conditioner. With the cooling capacity chart, find your room's square footage in the "Area To be Cooled (square feet)" column, then use the "Capacity Needed (BTUs per hour)" column to choose the correct cooling capacity for your room air conditioner. Cooling capacity is shown in British thermal units (BTUs) per hour. Thank you for making the cool choice!